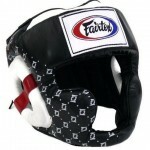 Lightweight head guard for both Muay Thai and MMA sparring. Hand made in Thailand and very comfortable. 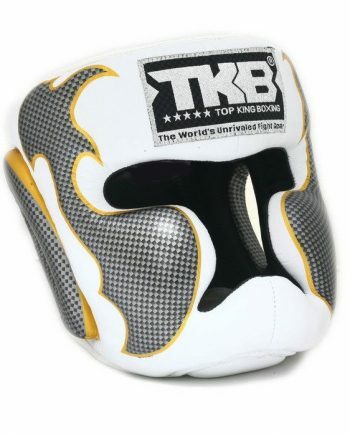 Multi-layered, high density foam core with a lace up and hook and loop enclosure system for optimal fit. Select size based on measurements below..
Want to go hard in sparring but still preserve your brain cells? 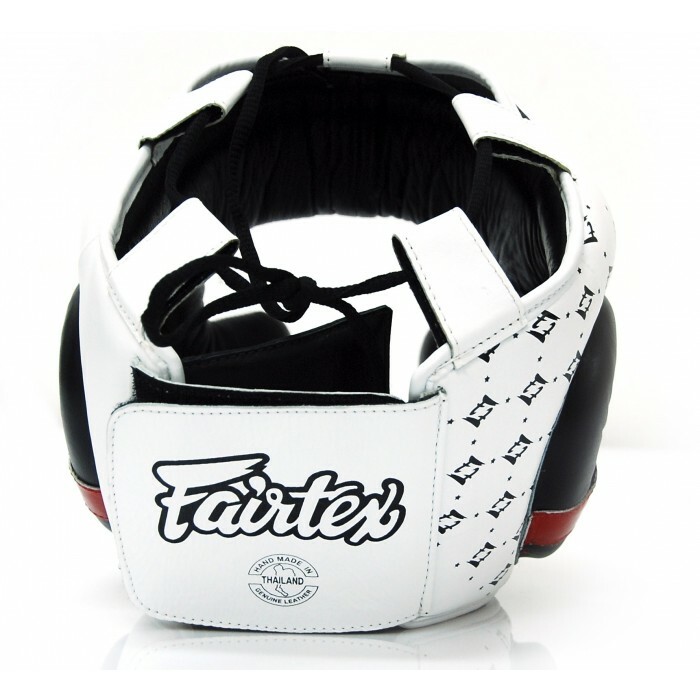 That’s what the new, “super sparring” head guard by Fairtex is for. 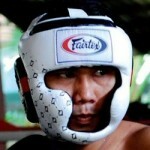 These ultra stylish head guards are lighter than most, so they’re not a burden to wear. 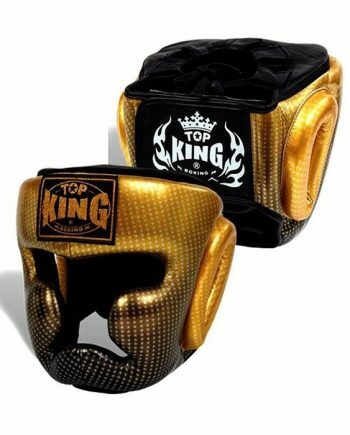 They’re well padded, offer adequate protection and won’t negatively effect your visibility either; which is always a good thing when you have punches and kicks being thrown at you. 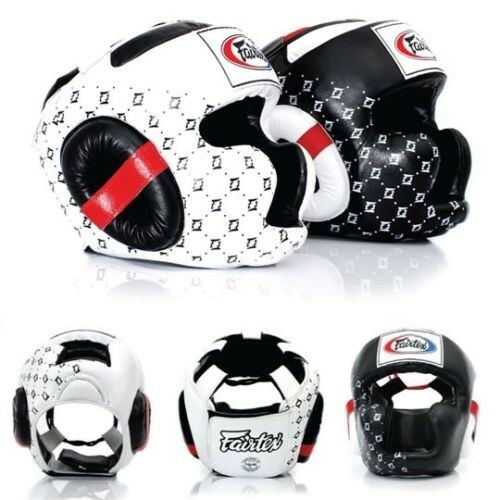 The light weight of the HG10 headguard also makes it optimal for MMA training, where you’ll most likely find yourself in various grappling situations. 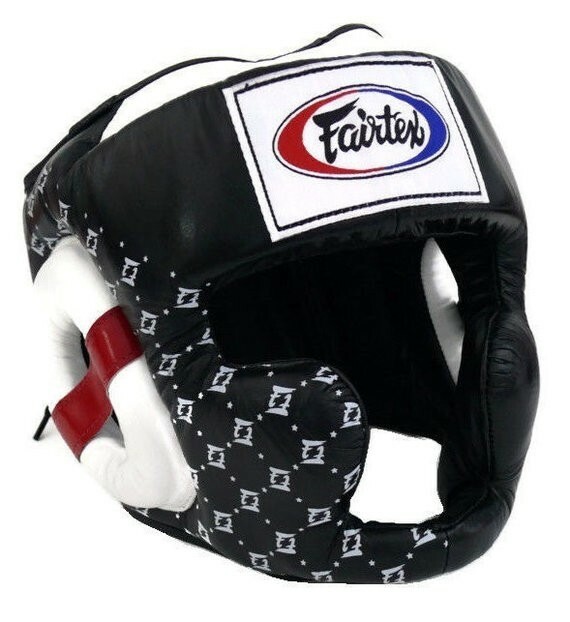 Handcrafted in Thailand, these sparring headguards make use of a multi-layered, high density foam core, which is soft on the inside and hard on the outside. 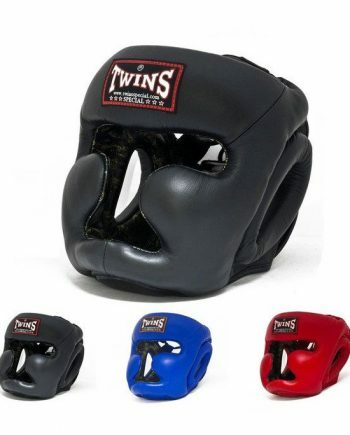 The adjustable enclosures (lace up and a hook and loop enclosure system) allow for a secure fit and optimal comfort. 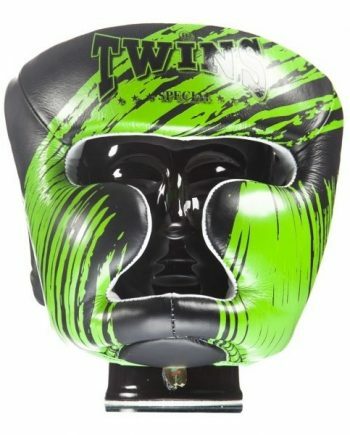 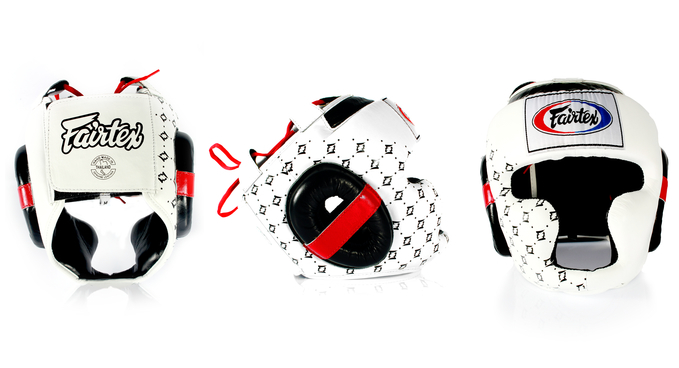 These sparring head guards also provide enhanced cheek, chin and ear protection. Available in 2 colors; white and black.